The Espresso Book Machine, manufactured and distributed by On Demand Books, has created quite a stir since it was launched a few years ago. The book printing system has been compared to a “book ATM.” It can print books, stored in a digital repository, in a matter of minutes. Essentially, the system provides the capability to produce books at the point of purchase. Version 2.0, a smaller and more efficient version of the Espresso Book Machine is now available and is helping drive sale at On Demand Books. In addition, the company has recently announced deals with Lightning Source and Google which give it access to a greater catalog of books. The video below demonstrates how the Espresso Book Machine produces a book it has retrieved from a digital repository. Dane Neller is the CEO of On Demand Books LLC, which he co-founded with publishing legend Jason Epstein. He has extensive operating experience in the retail sector as former President and CEO of Dean & Deluca for over 8 years.formerly. Future Perfect Publishing interviewed him a couple of years ago, and he recently updated us on the company’s progress since that time and the outlook for the Espresso Book Machine. FPP – Originally, mostly libraries were purchasing the EBM. Now it seems that more bookstores are acquiring the EBM. What do you think has caused the shift? DN – Our primary market continues to be the University Setting both campus bookstores and research libraries. Independent Trade Bookstores also are buying as they recognize the value of localized self publishing programs being able to respond immediately to their customers. Bookstores benefit as well from an increase in their sales per square foot, increase inventory turnover, derive new customer traffic to the machine, eliminate out-of-stocks and free up shelf space for faster moving, higher-margin inventory. For libraries, the machine enhances the academic experience for students/faculty and makes more books available to more patrons. By allowing the library to acquire a title for its collection on demand when requested by the patron, the EBM helps make the library’s acquisition strategy more efficient. Our technology also enables the library to reproduce rare books in physical form, provides a vehicle for University Press titles, and improves the inter-library loans process. FPP– Have you begun to see interest from non-bookstore retailers? DN – Yes, as they see the Espresso Book Machine enables them to add books as a new product line. FPP – What’s the easiest way for publishers to make their titles available through the EBM? (1) Through our partner Lightning Source. This is our preferred way – publishers add their content to Lightning’s POD repository, and it becomes available through the EBM at the identical pricing offered by Lightning. (2) By providing us with an API that allows our network to access the publisher’s digital repository – in effect, we “pull” the file from the publisher any time a book is purchased on one of the machines. (3) By the publisher “pushing” their digital repository to us and allowing our servers to host their files. In this case, we host the publisher’s digital files and perform a regular reconciliation to keep the titles and their associated metadata up to date. FPP – What does an EBM cost? Are there lease as well as purchase options? 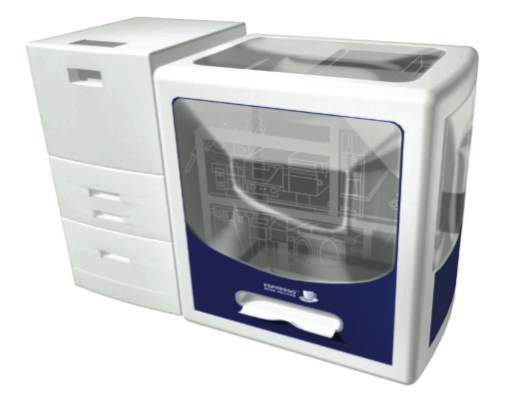 DN – We sell the EBM for $97,500 plus the cost of the text printer (note that the EBM comes equipped with the full-color cover printer). The price of the text printer ranges from a little over $4,000 for the mid-speed printer (35 pages a minute – or a book ever 7-10 minutes) to roughly $28,000 for the high-speed printer (120 pages a minute – or a book every 3-4 minutes). FPP – How do you anticipate the agreement with Lightning Source and Google will impact sales of the Espresso Book Machine (EBM)? DN – Both Lightning and Google represent significant sources of high-value books. They’ve made the EBM more attractive to our customers and are helping sales. FPP – What are the barriers to getting all publishers to sign on with ODB and what is the company’s strategy for growing the number of books available via the EBM? DN – Distributed printing clearly is attractive to publishers who see the advantages of a greener distribution and sales channel. There may be some technical barriers on the publishers’ side to aggregate their printable files but most are creating or outsourcing Digital Asset Management repositories. Our strategy is to make our customers successful by going after content that will sell well through their setting. Academic content for the University Bookstore, for example. FPP – Do you see a potential market for magazines, journals or newspapers using the EBM? DN – Absolutely. The Espresso Book Machine will print, bind, and trim absolutely anything that a laser printer can print. 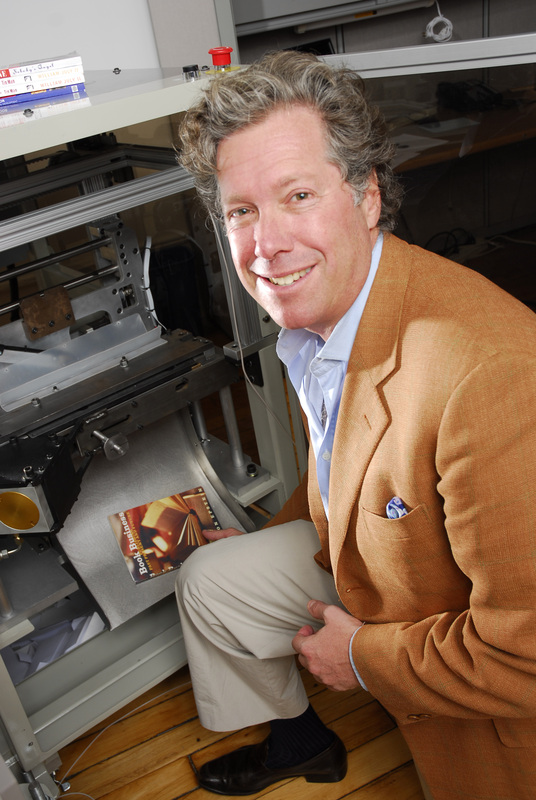 In addition, customers have used the machine to print journals with personalized covers and lined pages, technical manuals, custom anthologies, professor-created textbooks, lab journals, study guides, coloring books, conference documents, corporate reports, recipe books, collections of (digitized) letters, and the list goes on . . .
FPP – E-books have been steadily growing in popularity. Do you see this as competition for the EBM? DN – No. The growth in e-books has helped us in several ways. First, to the extent that growing e-book sales help publishers and booksellers, then we are helped, since these represent our partners and customers. More concretely, the digitization of backlist books for e-readers has made more titles available to our machines. Also, with the growth in e-books, publishers and retailers have grown more comfortable with nontraditional methods of book distribution, including our own. FPP – What new features would you like to see in the next version of the EBM? DN – We have no major upcoming changes to the EBM. In summer 2009 we began our full commercial rollout of the new EBM, version 2.0 (previously we had installed earlier-generation machines to test the market and the technology). At 3.8′ x 2.7′, the new 2.0 machine is half the size of the previous model. Interest in the machine has been fantastic, and we expect our installations to accelerate significantly in 2010, with an early emphasis on trade bookstores and the university bookstore and library market. FPP – What do you see as the biggest challenges ahead for On Demand Books? DN – Managing rapid growth is the biggest challenge. Other challenges relate to selling internationally. It is an exciting time for On Demand Books and our customers and we are very confident about our ability to meet challenges as they arise. This entry was posted in Interviews, open publishing, publishing networks, publishing technology and tagged book distribution strategy, book printing technology, Dane Neller, espresso book machine, Google, Lightning Source, On Demand Books. Bookmark the permalink.